How does RBN pay their bills? We do not charge our programmers for air time. It is free to them. Neither do we take commercials as many stations do. We have monthly bills just as you do, so we depend on our listeners who are blessed to help us on a monthly basis. Are our gifts tax deductible? Yes, the Rejoice Broadcast Network is a 501(c)(3) not-for-profit ministry. Donations of any amount are tax-deductible and greatly appreciated. With each gift, you will receive a receipt to use for tax purposes. Do the Share-a-thon goals meet budget needs? The Share-a-thon goals from spring and fall cover only about one-third of our needs. The Share-a-thons serve as a foundation for meeting those needs and also serve as a reminder that we need your help since we are listener supported. Why support Rejoice Radio on the Internet when I already pay an Internet Service Provider? We also pay for Internet access to send our audio stream to you. Can I listen on my mobile device? Yes. There are a couple different ways you can achieve this. Click the “Listen Now” button from your Smart Phone or Tablet. Download the TuneIn app from the App Store, and select Rejoice Radio. Why does the station occasionally go off the air, especially in the winter? Because the RBN translators are satellite-fed, heavy precipitation can interrupt the signal. The weather may be clear where you live, but the mountaintop, where the satellite equipment is, may still have heavy rain or snow. How do I listen through the Internet? Just click “Listen Now” at the top right of any page. Can I add an RBN icon to my mobile device home screen? Select the “Listen Now” button. Select the “Send” button (box with an arrow pointing upward) at the bottom of the screen. Select “Add” on the “Add to Home Screen” page. 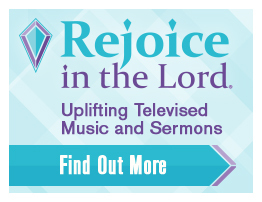 After exiting out of the Internet, you should see the Rejoice Radio icon. Select the three dots in the top right corner. What if I can no longer listen on the Internet? Find your browser below and follow the steps for clearing your browser’s cache. Click on the gear wheel in the top right corner of the browser window. Choose “Safety” from the menu. Choose “Delete browsing history” from the submenu. Check “Temporary Internet files and website files” in the window that opens (uncheck all other options). A notification at the bottom of your browser window will appear when the process is complete. Click on the three dashes in the top right corner of the browser window. Choose “Settings” from the menu. Choose “History” from the left side of the window. Check “Cached images and files” in the window that opens (uncheck all other options). In that same window, choose the beginning of time from the drop down list at the top of the window. On a Windows computer, choose “Options” from the menu. On a Mac computer, choose “Preferences” from the menu. Choose “Advanced” from the right side of the window. Choose “Network” from the tabs that appear in the window. Choose “Privacy” from the top of the window. Click “Remove Now” in the pop-up window. Close the Window by clicking on the red circle in the upper left corner of the small window.